As one can tell by the name of this creature, Dinofelis was a “terrible cat”. So, how terrible was the terrible cat? Terrible enough according to our finds. What made it so terrible? Only one way to find out. Dinofelis has long been compared to a jaguar. 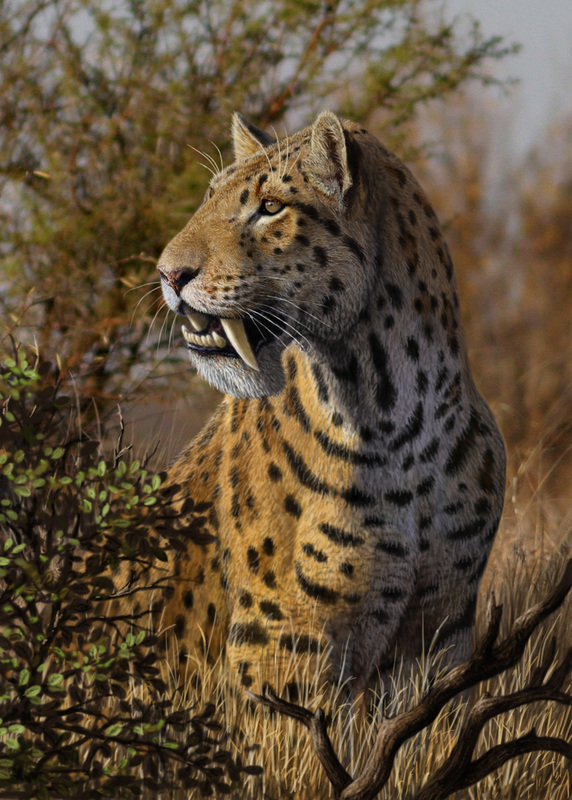 With amazing strength, agility and speed the jaguar could very well represent Dinofelis in the modern world. Although he only stood at two feet four inches, this creature had all the marks of being a skilled and terrifying hunter. Now, the modern jaguar is an amazing hunter. But, even he could not match up with the longer front legs of Dinofelis. With longer front legs it was easier to take down larger prey or just prey in general. There were many benefits.